MFine, an app that lets users link with doctors through live chat or video under a minute, said it has raised $4.2 million (Rs 28.5 crore) in a Series A round led by Prime Venture Partners. Existing investors Stellaris Venture Partners and healthcare entrepreneur Mayur Abhaya Srisrimal also participated in the round, taking the total funds raised by the company to $6 million (Rs 40.7 crore). Run by Bengaluru-based NovoCura Tech Health Services, mFine was founded in February 2017 by Myntra co-founder Ashutosh Lawania and former Myntra chief business officer Prasad Kompalli. Myntra is now the fashion arm of Flipkart, an Indian e-commerce firm. Kompalli and Lawania were later joined by Ajit Narayanan, ex-Myntra tech chief; Arjun Choudhary, ex-Myntra head of growth marketing, and Jagadish Prasad, an interventional neuro-radiologist, as well as founder of Femiint Health, a female-care hospital in Bengaluru. MFine charges its users a fee for consulting doctors from partner hospitals on its platform. Also, it takes a commission from the health care service provider. It has so far partnered 16 hospitals in Bengaluru. It claims to have enabled over 10,000 consultations on the platform so far. The company will use the fresh funds to build its hospital network across cities, and further strengthen the technology team. The firm has around 50 employees as of now. It is looking to enable over 100,000 consultations by the end of 2018 and partner more than 50 top hospitals across the country by then. Unlike other doctor-consultation apps, mFine's partnership is with hospitals and not individual doctors, thus helping the platform gain more trust and credibility on quality, said chief executive Kompalli. He added that for these hospitals, the app was like a cloud consultation platform that allowed them to attend more patients. MFine’s hospital partners include CloudNine, Aster, and Ovum. The medical professionals on its platform span across nine specialities. The patients can do a video chat with doctors, apart from sending photos. Doctors can upload prescriptions online. "Hospitals can provide premium services without any upfront investments in physical infrastructure," Kompalli said. MFine is promising assistance within a minute of a patient requesting consultation. The patients can provide symptoms, temperature, blood pressure and other vital information on the app, apart from diagnosis results. MFine will soon launch additional services such as monitoring of vitals, collection of sample for lab tests and medicine delivery at home, the company said. 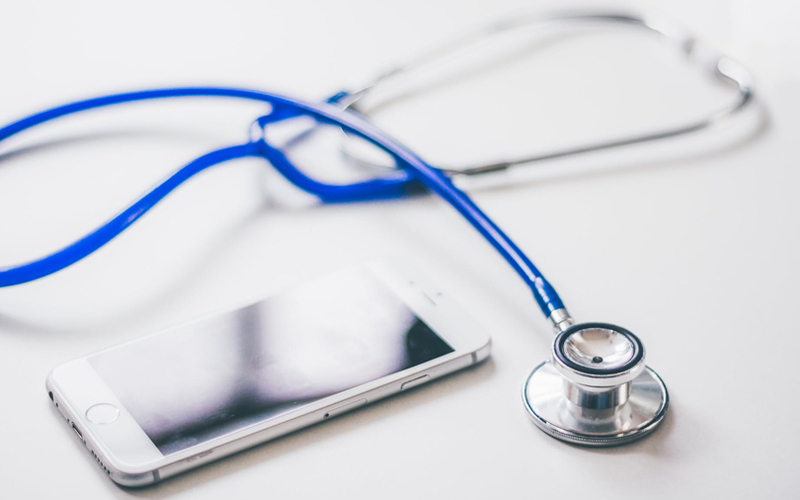 "We see a huge opportunity to bring the much-needed, tech-driven transformation in the $50 billion primary healthcare delivery," Kompalli said, adding that the idea of service being app-only was that healthcare was personal and should be available anytime, anywhere. Reflecting on the deal, Shripati Acharya, managing partner, Prime Venture Partners, said the fund for the first time saw a startup that can change the primary healthcare delivery in India. Prime has funded the startup from its third fund. Prime has most recently funded startups like fin-tech firm NiYO and security management company myGate.